We are pleased to announce our 2017 Literacy Award websites and blogs. The work of each of these teacher-researchers is referenced in our workshops, seminars, and literacy manuals. Through their books, inspiring blogs, and generous sharing on their websites, they have added layers to our knowledge of best practices in kindergarten literacy. We feel honored to know and to study with these master teachers who share our passion for accelerating literacy and honoring childhood. 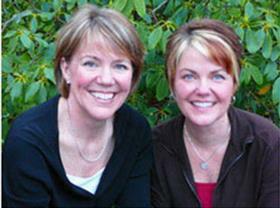 We consider these teachers “kindred spirits” in joyful accelerated literacy! You will love Melissa’s inspiring website and weekly blog with glimpses of joyful authentic learning! We read everything Melissa shares in her engaging and beautiful style, designed to teach and inspire. She documents meaning-centered, hands-on learning and generously shares many free templates. Melissa’s philosophy is inspired by the wisdom of Bobbi Fisher’s best-selling Heinemann book, Joyful Learning in Kindergarten. We hope she will soon produce the sequel. For new teachers and veterans alike, get to know Melissa Clancy! Start with her Writing Workshop blog and Word Family posters. 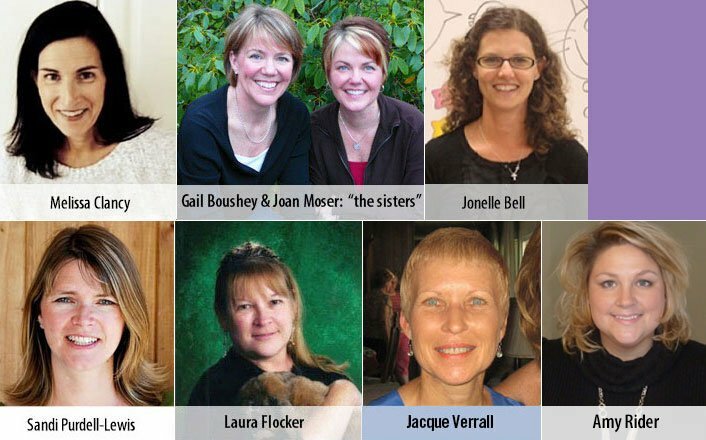 We anticipate reading “The Sisters” inspiring (and free) weekly blog; we also return again and again to this professional development site (it is well worth the registration fee for the expanded content!) from the authors of The Daily 5. We absolutely love watching the quality video clips featuring kindergarten teacher, Joan Moser! Before touring the website’s menu, check out the video on the home page to learn about her powerful literacy framework, which produces unexpectedly high achievements. Joan’s kindergarten is engaging and beautiful, and children are treated with the sincere respect that builds happy, empowered learners. Jonelle says, I am playfully inspired by the book A Place Called Kindergarten by Jessica Harper. These posts are what I would tell the animals about what we do every day in kindergarten. We delight in Jonelle Bell’s weekly blogs and her informative Pinterest boards. With her love of quality literature, she masterfully engages and documents the children in authentic literacy, math, and science experiences. This quality kindergarten model is another showcase for “best practices” in kindergarten literacy. Check out Constitution Day to see just one of her meaning-centered strategies that has kids engaged in reading, writing, and higher-level thinking! Blocks, easels, dramatic play centers, and outdoor education and exploration every day: these can all be found on Sandi’s delightful and informative kindergarten blog, “Rubber Boots and Elf Shoes.” We consider this kindergarten teacher one of Canada’s finest. Filled with playfulness, creativity, problem-solving, collaboration, and friendship, Sandi’s kindergarten builds language, literacy, and life skills while nurturing a child’s imagination and emotional intelligence.We’ve never seen such creative and inviting Sensory Bins! We also find inspiration in her engaging and instructive collection of Pinterest boards. We have learned much from this former Oregon Reading Recovery® teacher! Laura brings her passion for the arts and science literacy into every part of her kindergarten. For an example of the deep thinking she engenders in her students, notice their absorption in Crystals and Rocks. On her family information section, we especially enjoy how she gives families an opportunity to meet Ms Flocker’s family and the animals she loves. We feel honored to study and document the work of this master teacher and coauthor of Art-Science-Literacy and the Kindergarten Child. Laura is an occasional blogger and a lifelong learner. She is currently starting a new website, albusbunny.com, named after the bunny that lives in her classroom! This National Board Certified teacher is one of Washington State’s teaching treasures and a wise voice for kindergarten programs that honor childhood, accelerate literacy, and involve Parents as Partners. We read everything Jacque posts on proteacher.com and have loved hanging out in her classroom. Hers is the voice of a veteran teacher who understands Emotional Literacy and the importance of play while building high levels of academic achievement. We anticipate reading her graduate project soon, published as a book, The Importance of Choice Time in Kindergarten. We highly recommend all of the well-articulated documents on her web page, especially “Wrinkled Heart”, “What do I say if a child says…”, and the thoughtful Martin Luther King (MLK) resources. 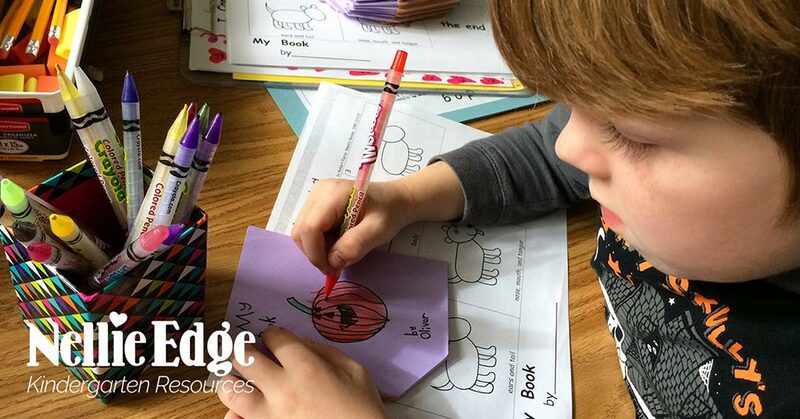 Amy Rider is a highly creative, playful, and accomplished kindergarten teacher with a totally delightful blog, “Literacy and Laughter.” The subtitle says it all: Celebrating Kindergarten Children and the Books They Love. We are fortunate to have this passionate teacher as an online mentor documenting excellence in kindergarten literacy. You will “Find It Fast” on her organized blog, and her Teacher Talk page gives glimpses of her delightful family. Amy’s Kindergarten Book Lovers Club is just one of the innovative practices that has inspired our colleagues. Her literature-rich classroom blog documents an authentic reading and writing workshop model with beautiful photos celebrating joyful learning. We value her generous sharing and passion for developing literacy through quality literature! Honorary Kindergarten Literacy Awards: We Love These Sites! 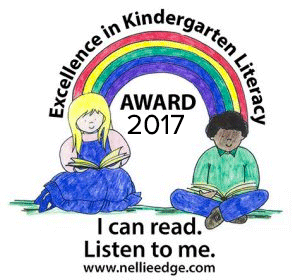 We value these next sites so much we have created this honorary Excellence in Kindergarten Literacy Award just for them. The California Kindergarten Association continues to provide high-caliber professional development and valuable resources for preK-1 educators in California and across the country. Check out their art resources Annual Art Exhibit. Their annual conference in January is worth a trip across the country. Just in case you haven't discovered this concise and thoughtful free weekly e-newsletter (The Big Fresh) for K-12 literacy leaders from the Choice Literacy site, you are in for a treat. Brenda Powers, editor, provides weekly literacy support and personal insights that make one smile and ponder. She simply has a wondrous way with words and the heart of a kindergarten teacher. Subscribe today and enjoy! Deedee Wills maintains a superb blog with links to other excellent kindergarten blogs. If you’re interested in blogging yourself, be sure to spend some time exploring her site. We especially love her “About Me” section. 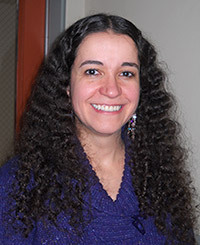 Adele Diamond’s Developmental Cognitive Neuroscience is a state-of-the art site for brain research. 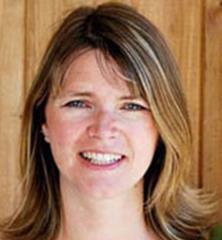 She is the world’s foremost expert on the child’s prefrontal cortex and executive function. Award-winning retired kindergarten teacher extraordinaire, Diane Bonica has generously shared her whole year of poetic and delightful weekly parent letters. This represents a treasure trove of science/literacy curriculum through songs, poetry, and the arts, a glimpse of a lifetime of her masterful teaching. 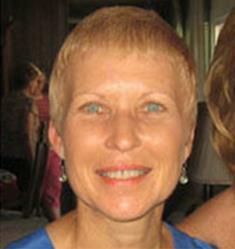 Dr. Jean's website and weekly informative blogs are filled with music and playfulness for young children. 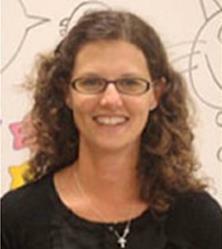 Her many YouTube videos clips emphasize developmentally-appropriate practices. We enjoy seeing her variations on cheers to acknowledge children. Edutopia is dedicated to transforming the teaching and learning process by helping educators implement strategies that empower students for deeper learning. See the videos: Ken Robinson on the Power of the Imaginative Mind,Music and Dance Drive Academic Achievement and Howard Gardner on Multiple Intelligences. Sally Haughey describes her Fairy Dust Teaching blog as “sprinkled with the arts, storytelling, and lots of love.” We agree and appreciate seeing the Regio Emelia approach with beautiful and magical environments for children. Peek inside Isabell's awesome kindergarten! This is just what you'd expect from the co-author of the book “Kid Writing: A Systematic Approach to Phonics, Journals, and Writing Workshops.” See art and writing displays and don't miss the "Kid Writing Wall of Fame." Kim is a master teacher with an awesome and easy-to-use site, great photos, and detailed monthly photo essays documenting art, playfulness, authentic literacy, and meaningful thematic studies! With Jazzy Journals, Crafty Quilts, and Teaching Tips, this “writing-to-read” and literature-rich classroom is a must see. Kindergarten Crayons with Fran Kramer is another “must-read” blog. We value her rich, authentic curriculum connections and links to the Common Core. 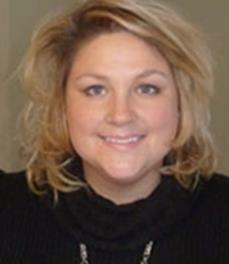 See her extensive Pinterest boards and resources on Teachers Pay Teachers (TPT). Kindergarten with Susie reflects Susie’s passion and quest is to help all teachers create classrooms where literacy learning is engaging and exciting. We value Susie Haas Kane and credit her for giving us the “Name Ticket” strategy. Deanna Jump has broken records with her sales on Teachers Pay Teachers. She also maintains a spectacular website and blog. She has created organizational tips for posting Common Core Standards (so helpful!) and provides lots of classroom pictures. Mr. Kindergarten, teacher Dan Gurney from California, understands how to build a community of learners and nurture emotional intelligence. We enjoy reading his interesting blogs. Meet his puppet Popular Guy and check out his children’s Important Book. We absolutely love Traci Pohlmeyer’s engaging kindergarten site. Take a look at the learning centers. Scroll down for great photos of actual art/science/literacy connections: penguin themes and bat projects. Traci is no longer keeping this site active so we are grateful for the archived links. You'll be automatically redirected...it's well worth the short wait! We love everything Mo Willems—especially the Elephant and Piggie books which have become a part of our kindergarten reading curriculum. See Mo Willems Stuff-Elephant and Piggie for delightful posters, bookmarks, and invitations to read this well-loved collection of books. The Reading and Writing Project, founded and directed by Lucy Calkins at The Teachers College at Columbia University, continues their mission to help young people become avid and skilled readers, writers, and inquirers. At ReadWriteThink, their mission is to provide educators, parents, and afterschool professionals with access to the highest quality practices in reading and language arts instruction by offering the very best in free materials. 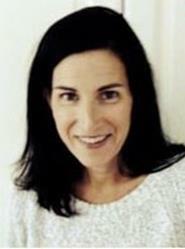 Regie Routman’s inspirational and practical work in exemplary writing and reading instruction has informed my vision of excellence in kindergarten literacy for over three decades. Her voice continues to be a transforming force in education. We wish all educators could read and reflect on her latest book, “Literacy and Learning Lessons From a Longtime Teacher” and participate in “Regie Routman in Residence” professional development." The Responsive Classroom approach is a widely used, research- and evidence-based approach to elementary education that increases academic achievement, decreases problem behaviors, improves social skills, and leads to more high-quality instruction. See video: What is Responsive Classroom approach. Smarter Balanced Assessment Consortium is a state-led consortium developing assessments aligned to the Common Core State Standards in English language arts/literacy and mathematics that are designed to help prepare all students to graduate high school college- and career-ready. This open marketplace for teachers continues to grow in popularity. Lessons and resources abound, written by teachers for other teachers. Many items are free. Sign up for the teachers’ newsletter and receive frequent links to top sellers and top-ranking free items. Teachers Pay Teachers has opened up the world for those educators who love to share their ideas. The Teaching Channel has great teaching, inspiring classrooms, support for the Common Core Standards, and outstanding videos. We think you will especially enjoy Animal Patterns: Integrating Science, Math & Art and Silent Signals in the Math Classroom. This arts-rich site provides an inspiring look at “excellence” with beautiful photos of children engaged in joyful accelerated literacy. You’ll find a wealth of free resources! I asked my esteemed kindergarten colleague, Winter Curry, to add another section to our list of favorite websites. Winter highly recommends the following excellent sites which incorporate technology into today’s kindergarten classroom. Ask A Tech Teacher: Maintained by Jacqui Murray, a technology teacher of fifteen years, Ask a Tech Teacher is a wealth of technology related resources. The site includes links to amazing websites, apps, and lesson plans. Murray has compiled over 700 articles that explore teaching technology in our modern day classrooms. We especially love her Six Kindergarten Keyboard Basics . Auntie Prune’s Best Websites for Kids: If you have a Smartboard in your classroom or you like to provide links to parents via a classroom website, this list will be an indispensable resource. We are especially impressed to see websites listed that help little hands with “Computer Mouse Dexterity” (Scroll down the page about halfway to see these sites: listed after “Memory” and before “Nutrition”). Best Apps for Kids: Are you integrating iPads into your classroom? The trickiest piece of integrating technology into the classroom is often at the outset. Getting started can seem more than a little overwhelming. Save some time and energy by checking out this website. With its comprehensive listing of apps (Writing Apps for Kids) and many ways to sort and search, you’ll be downloading happily in no time. Donors Choose: In a time of budget cuts, we are all looking for ways to raise money for our classrooms. This online charity website simplifies the process by allowing you to write a proposal and then post your needs on the Donors Choose website. You can easily link your project request to your own classroom website or send it via email to interested donors. Donors can pay whatever amount works for them. Once your project is funded, Donors Choose will send you the needed materials and also help you to follow up with thank you cards and pictures. It’s a little like boosting up your Giving Tree with a technological boost! Here’s a current list of terrific Pinterest pages for kindergarten. Ms. Cox's PreKinders: You could spend all day in Karen's beautiful Reggio Emelia-inspired classroom and outstanding website. Notice the aesthetic details and use of natural objects in the block center. Don't miss the science center ideas, class books and thematic classical music ideas! Kelly Bear: Leah Davies generously shares some excellent articles for parents and teachers. See “Too much violence on TV? What can you do?” and “Emotional Intelligence: An Essential Component to Education.” Thank you Leah! Kinderteacher.com Linda Critchell is a retired kindergarten teacher, whose joyful site reflects her love of kindergarten and her special passion for integrating curriculum with creative craft projects. The helpful site map makes it easy to navigate her wealth of teaching ideas. Start with the first day of school, and gingerbread man. Mrs. Jackson's Class: Here is a great resource for almost every imaginable theme from A to Z! Don’t miss best of the bats and butterflies. Mrs. Jones' free printable books: Wow! 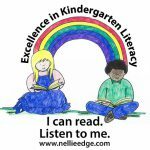 Here are up-to-date links to hundreds of free printable emergent reader and leveled books on the internet! This is such a valuable resource. Mrs. Meacham's Kindergarten: Check out The Name Game on Jessica Meacham’s first grade website. Mrs. Mikesell's Classroom: This very professional and organized site has helpful teaching strategies. Don’t miss the literacy center ideas and see her advice on building a website for extra income. Consider signing up for her free monthly newsletter. Teacher.org: Teacher.org is a free informational site made for teachers by teachers. We aim to empower prospective, new, and veteran teachers by providing a broad range of information intended to help them thrive and advance in their careers. Please let me know if you need anything more. The K Crew: Don't miss these literacy centers – especially the drama center – used for children to build projects as a response to literature. See buzz books, ideas for morning messages. These kindergarten teachers embrace a balanced approach to literacy and joyful teaching strategies with clear objectives for Texas Essential Knowledge and Skills. 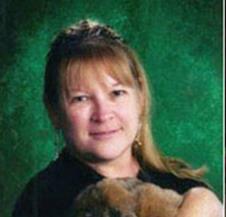 The Virtual Vine: Cindy has been a special education teacher for 26 years. You will find a long vine of detailed activities, themes, favorite children’s books, and a wealth of literacy ideas for preK to second grade. See Literacy Connections (under work stations) Book Box Station and use of Pocket Charts.